Are you a fan of barn doors used inside the home? 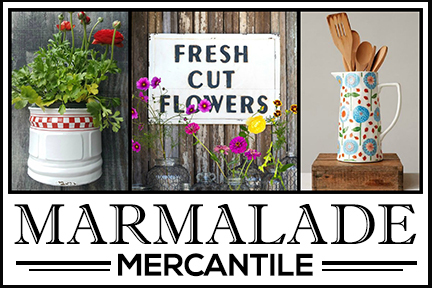 There’s been a huge upsurge in farmhouse style decorating ever since Fixer Upper became such a popular TV show. In honor of the show ending its series, I’m featuring a collection of barn doors made popular by Joanna Gaines’ popular decorating style. 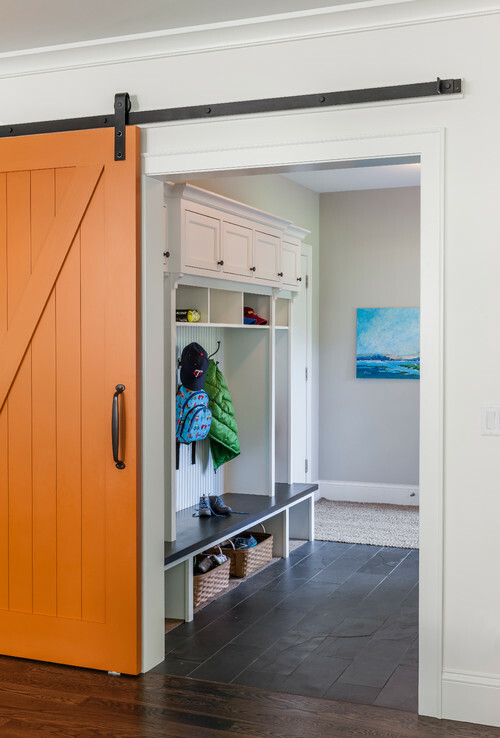 Add a barn door to a mud room and when the room gets messy, simply slide the door shut to hide the boots and coats from visitors. Perhaps the biggest advantage to barn doors is their sliding feature. You don’t have to place furniture to allow for a door to open and close. 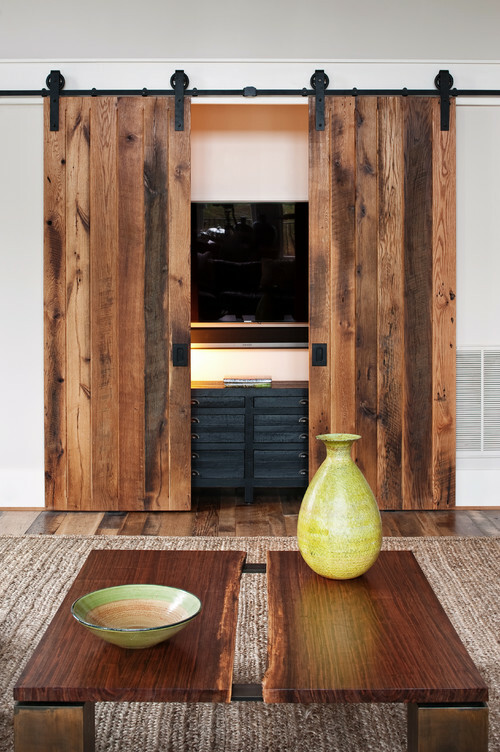 Rustic barn doors create a unique solution for hiding a TV and electronics. 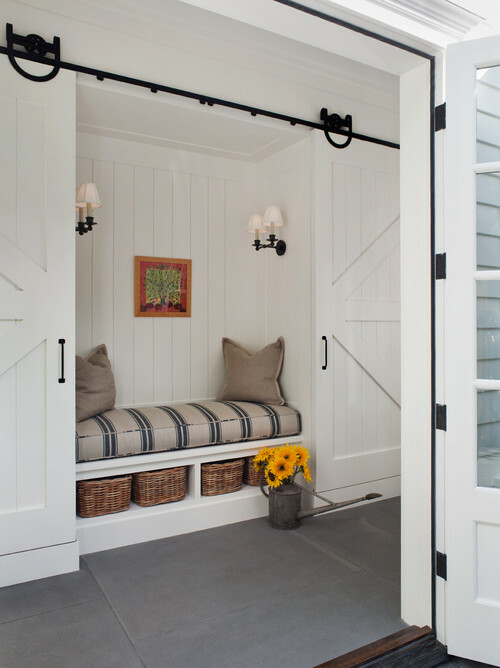 A cozy reading nook can become instantly private by rolling the barn doors shut. Sconce lights keep the space from becoming too dark if you need to entirely close yourself off from the rest of the house. 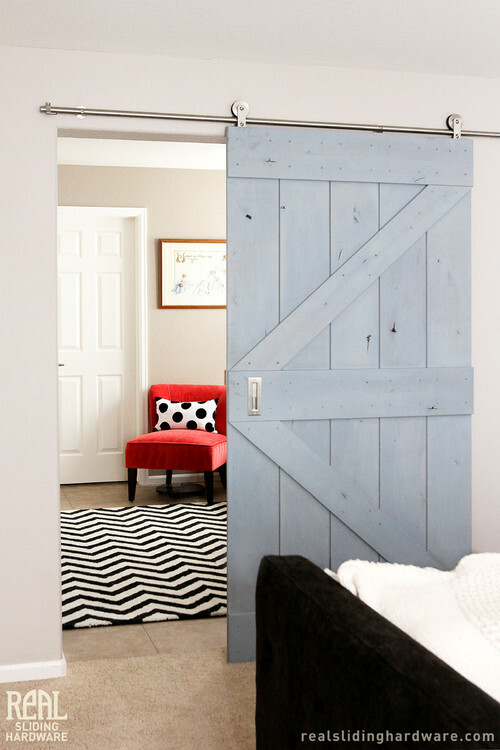 A sliding barn door can close off a bedroom from its sitting area. One person can go to sleep while the other enjoys a book in the next room. 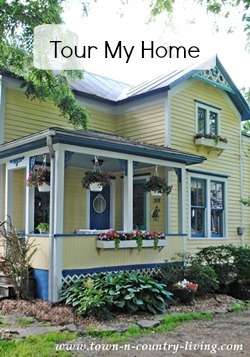 In a cottage cute kitchen, a barn door frames a small butler’s pantry. The door wears the same panel treatment as the walls. 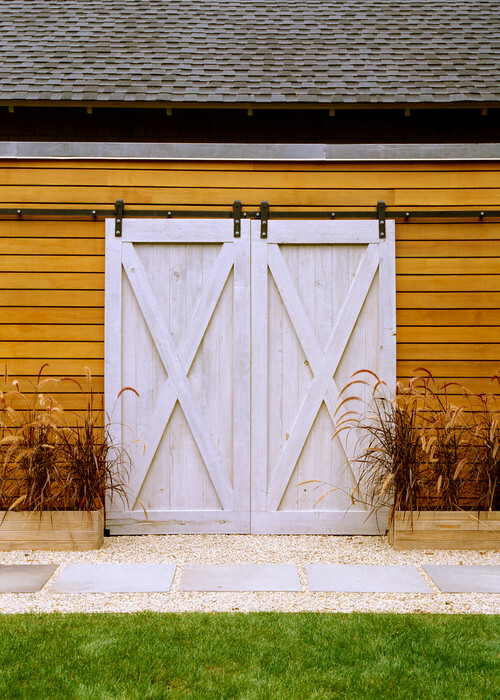 Photo by Leverone Design, Inc.
Barn doors look especially great on outdoor structures. 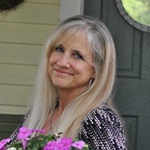 Consider adding them to a shed or other outbuilding on your property. 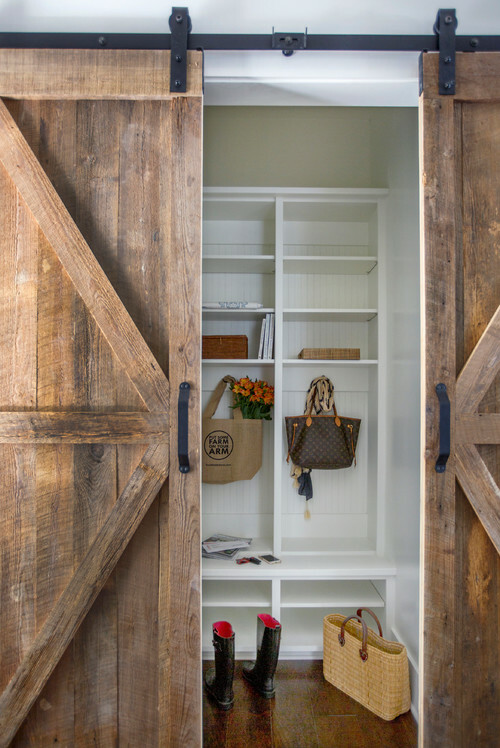 Have you added a barn door to your home’s interior spaces? When my husband needed to use a walker the door to our ensuite bathroom was a problem: it was wide enough for him to enter/exit but the door swung open blocking the toilet. We did a quick rework by removing the door from its hinges and reinstalling it as a barn door. The original door was not wide or tall enough for a true barn door install but it was great for a temporary solution and it was easy to reverse when no longer needed. I liked the efficiency and ordered a barn door for another bathroom in a smaller house: no more traffic jams! I have an older house with a weird sized door and am thinking of putting one in that place. Thanks Jennifer for these ideas. 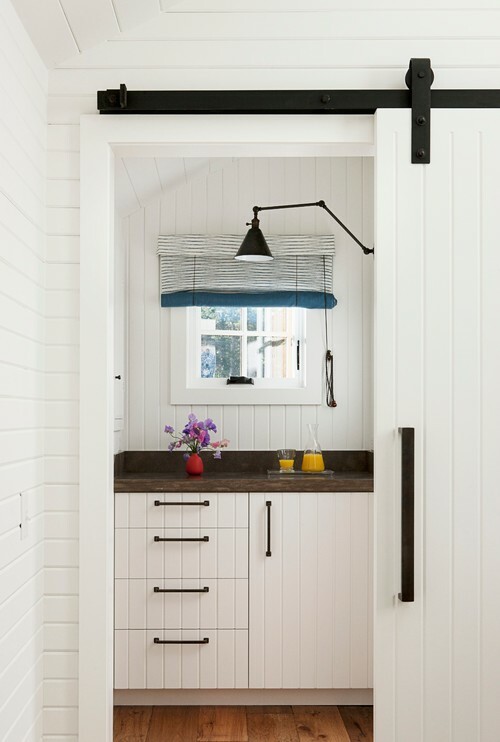 I absolutely love the sliding barn door Craze! We are thinking about putting one in front of our basement stairs. 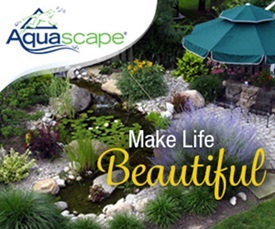 Even Menards has the hardware for it!